It has been another beautiful weather week. Dave had a closing off-island and below are a few other news items followed by the action posted in the Multiple Listing Service this week. First a photo of the private fishing pier at Mariner Pointe. We still have two terrific listings there! “Real estate issues stand to be well represented in Congress over the next two years as REALTOR® Party-backed candidates on both sides of the aisle won closely watched races in yesterday’s national midterm elections. NAR-backed Sen. Mitch McConnell (R-Ky.), who is poised to become Majority Leader in 2015 with the Republican takeover of the Senate, has been a strong supporter of the mortgage interest deduction, rural housing development, and other top real estate issues throughout his 30-year career. “NAR congratulates Sen. McConnell and looks forward to working with him on real estate–related policies important to REALTORS® and to all home and commercial property owners,” NAR President Steve Brown says. McConnell had been in a tough race with Alison Lundergan Grimes, a business attorney in Lexington, but, as in several closely watched races throughout the country, the Republican ended up on the winning side. On the crucial House Financial Services Committee, several real estate champions on both sides of the aisle retained their seats with strong support from the REALTOR® Party. These include Joe Heck (R-Nev.), Patrick Murphy (D-Fla.), and Kyrsten Sinema (D-Ariz). In addition to receiving support for their campaigns from the REALTORS® Political Action Committee, they also benefited separately from independent expenditures from the REALTOR® Party. These independent expenditures include mailings and other types of outreach that are undertaken separately from, and without coordination with, the candidates’ campaign efforts. In the Senate, Pat Roberts (R-Kan.), who sits on the important Finance Committee, retained his seat with help from the REALTOR® Party independent expenditure program. Florida voters delivered the only mandate in the midterm election -in support of Amendment 1. Florida’s Water and Land Legacy Amendment passed by a statewide vote of 75% well beyond the 60% needed. This is a great bipartisan victory that reflects residents understanding that protecting our natural resources protects our economy. SCCF reports they plan to bring this mandate forward with them to the upcoming legislative session to fund restoration projects and protect and advance Florida’s award willing parks and wild places. The Lee County 2014 real estate tax bill are out and posted at http://www.leepa.org. Saluting the city’s founding fathers as well as the citizens who were part of the push toward independence, more than 50 people gathered at MacKenzie Hall on Tuesday morning to mark the 40th anniversary of the historic vote to incorporate Sanibel as a city. The 45-minute celebration, attended by several former council members and mayors of the city, included personal remembrances, a display of historic photographs and artifacts as well as the singing of “Happy Birthday” To Sanibel. On November 4, 1974, an incredible 84.6% of all registered voters on Sanibel went to the polls, with 63.6% casting their ballots in favor of incorporation. Kids who are able to hold their own fishing pole can participate in the free 2nd annual “Ding” Darling Kids Fishing Derby to be held on the Sanibel Causeway Islands Park (Island A) on Saturday, November 8. J. N. “Ding” Darling National Wildlife Refuge and the “Ding” Darling Wildlife Society-Friends of the Refuge (DDWS) co-sponsor the event. Registration begins at 8:30 a.m. on the causeway, and ages 15 and younger start fishing at 9 a.m. and finish at 11 a.m. An awards ceremony is at 11:30 a.m. Judges will record catches during the session. After the results are tallied, they will award winners in two age groups: 10 to 15, and 9 and younger. Based on total inches of fish caught, the refuge will award first, second, and third place prizes, plus awards for the largest and smallest fish hooked in both age categories. Participants should bring fishing poles, but Tarpon Bay Explorers will provide a limited number of loaner poles for those who don’t have their own equipment. Shallow Bait and Dale Shirley will be supplying the bait. Throughout the day, volunteers and staff will teach fishing skills and safe, ethical fishing practices and will engage children in fish crafts. Due to 90% chance of rain on Sunday, CROW’S Taste of the Islands at Dunes Golf and Tennis Club is being postponed until next Sunday, November 16, 2014 from 11:00 am – 4:00 pm. Come out next weekend & support CROW. 3 new listings: Loggerhead Cay #412 2/2 $499.9K, Nutmeg Village #307 2/2 $749K, West Shore #3 3/3 $1.795M. 3 price changes: Spanish Cay #A6 1/1 now $259.7K, Blind Pass #E206 2/2.5 now $433.3K, Sanibel Arms West #M8 2/2 now $479.9K. 2 new sales: Sundial #C307 1/1 listed for $339K, Nutmeg Village #107 2/2 listed for $659.9K. 3 closed sales: Sanctuary Golf Villages I #6 2/2.5 $500K, Nutmeg Village #308 2/2 $725K, Sundial #E108 2/2 $780K. 5 new listings: 1710 Middle Gulf Dr 3/2 $699K, 497 Lake Murex Cir 4/3 $715K, 248 Daniel Dr 2/2 $749K, 251 Daniel Dr 3/2 $824.9K, 5424 Shearwater Dr 3/2.5 half-duplex $899K. 6 price changes: 702 Donax St 2/2 now $439K, 3168 Twin Lakes Ln 3/2 now $539K, 857 Birdie View Pt 3/2.5 now $1.029M, 190 Violet Dr 3/2.5 now $1.15M, 842 Limpet Dr 4/3.5 now $1.645M, 830 Limpet Dr 4/4.5 now $1.695M. 3 new sales: 2615 Tamarind Rd 2/2 listed for $37y9K, 1238 Par View Dr 3/3 listed for $799K, 784 Birdie View Pt 4/4 listed for $1.625M. 3 closed sales: 5289 Umbrella Pool Rd 3/2 $495K, 2735 Wulfert Rd 4/4.5 $1M, 1048 Kings Crown Dr 4/4 $1.165M. 3 new listings: 3013 Poinciana Cir $250K; 1310 Par View Dr $379,555; 6419 Pine Ave $899K. 3 price changes: 1820 Farm Trail now $249K, 1429 Albatross Rd now $269K, 1311 Par View Dr now $279K. 1 new sale: 218 Violet Dr listed for $352K. 4 price changes: Bayside Villas #5144 1/2 now $299.5K, Gulf Beach Villas #2004 2/2 now $639K, Gulf Beach Villas #2031 2/2 now $670K, Lands End Village #1610 3/3 now $1.865M. 1 new sale: Beach Villas #2511 2/2 listed for $575K. 1 closed sale: Ventura Captiva #5B 3/3.5 $850K. 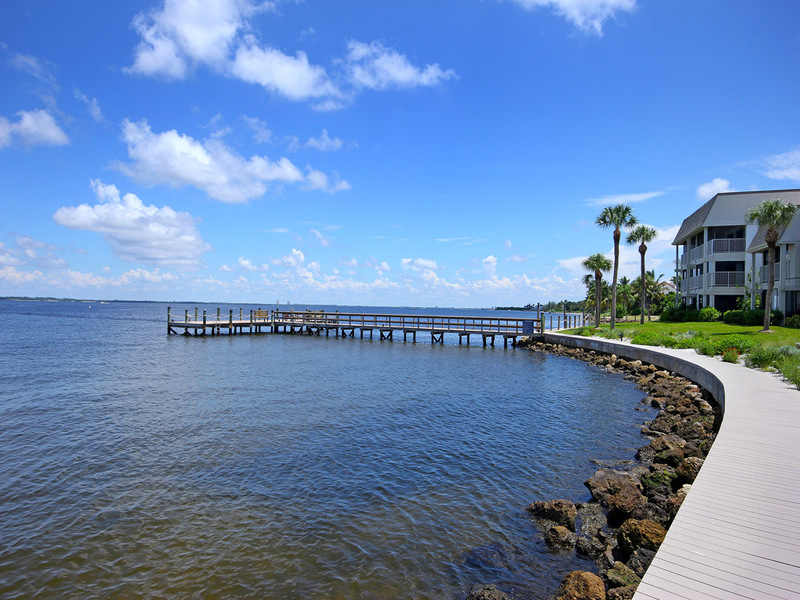 1 price change: 16428 Captiva Dr 7/8/2 now $9.95M. This entry was posted in Captiva Island, Captiva real estate, Florida property, Florida real estate, Real estate, Sanibel Island, Sanibel real estate, SanibelSusan, SanibelSusan's Blog and tagged Lee CountyTaxes, Taste of the Islands by SanibelSusan. Bookmark the permalink.